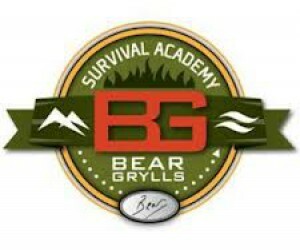 The Bear Grylls Survival Academy has arrived in Africa – they launched their ever popular courses in the Victoria Falls, Zimbabwe in January 2014. The courses are targeted to die-hard fans of the legendary former SAS soldier and survival expert and are run out of the Stanley & Livingstone Private Game Reserve. Their latest offering includes their Bear Grylls Ultimate Teambuilding Course – specifically tailored to the corporate world, the bespoke high-energy programmes are unlike any other outdoor-based experience. They are purposely designed to drive participants to work smarter, not harder. Ideally suited to organisations looking for results-driven team building, staff incentives and corporate events, the Ultimate courses bring individuals face to face with a little bit of healthy Bear Grylls adrenaline! The extraordinary courses offer unique experiences that challenge and test the all-round strength and determination of participants resulting in insightful results for individuals, and a more dynamic team for organisations. Designed by Bear Grylls, the courses are led by his team of official Survival Academy instructors who have worked alongside him in challenging environments around the globe. A combination of land-and-water, survival-and-adventure team tasks that culminate in a wilderness expedition in a remote location will put the participants’ new-found skills to the ultimate test. 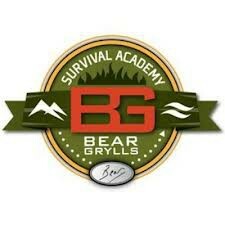 Techniques learned on the course include building and lighting fires, building emergency shelters, knife use for survival, rappelling, extreme weather survival, river crossings, as well as foraging for grubs and rodents as part of Bear’s ‘gross eat’ challenge. For the ultimate experience ‘delegates’ can participate in a Bear-Grylls style helicopter drop off or hover jump, or travel across challenging terrain in a 4x4. Each course is tailor-made to meet the objectives and budgets of every business - whether it is an incentive experience, a team building exercise for staff or management and leadership development. The courses can be anything from a few hours, a full day, overnight or even longer periods depending what businesses set out to achieve. Bear Grylls has become known around the world as the most recognised face of survival and outdoor adventure, with experience gained during his seven seasons of Man vs. Wild/Born Survivor and the many skills learnt from his time with the British Reserve Special Forces.